Amidst all of the excitement about the changes to the UK pension regime, many customers have wrongly assumed that the taxable status of their pension fund has also changed. This is not the case. The maximum lump sum you can take from a pension fund without the need to pay tax on it is 25% (one quarter) of the fund value. Once you have taken the tax free quarter you cannot take another Tax Free Lump sum from the same pension fund. The remaining 75% of your fund, no matter how you take it, is taxable as earned income. There are ways of creating further tax free lump sums to be taken in the future which revolve around taking an income from drawdown and recycling it back into a pension. Click Here for more details. We believe that there will still be many customers who will want to release the tax free element of their pension fund but not have to take the rest. This is something we have been helping customers achieve for many years. 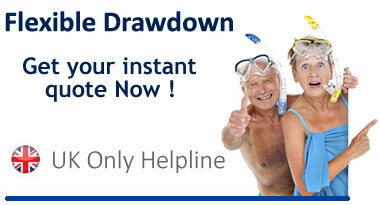 If you also need to take some of the remaining 75% now, then click here for your options. We have been helping customers take the tax free element of their pension fund once they are aged 55 or over. In many cases (particularly to keep their income tax payments as low as possible) many customers do not want to touch the taxable 75% of their pension fund until they are older, typically not until they retire. We help them keep it invested until they need it. It is of course important that you look after the remaining 75% of your fund and try to grow it. This again is something where we have provided added value to the customers and helped them manage their fund, even if they have little or no knowledge of investment matters. We work for you all the while your fund is with us, to make sure it is invested in line with YOUR objectives. While we cannot guarantee growth, we do have many customers who have used us and have achieved growth on their funds.